Kagan UK is a trading name of Teacher to Teacher (UK) Limited, the only official source of Kagan Cooperative Learning Workshops in the UK. Our team of Kagan Presenters consists of Internationally Certified Kagan Presenters. Kagan UK offer a range of training opportunities including single and multi-day workshops. All Kagan UK workshops feature a range of transformative Kagan Strategies. Contact us to arrange a Kagan Workshop for your school or visit www.t2tuk.co.uk to find out more! 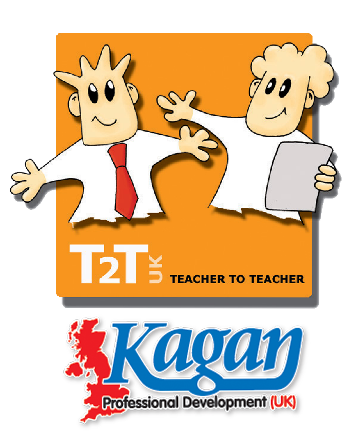 To arrange a Kagan Workshop for your school or visit www.t2tuk.co.uk to find out more!